dali toyi recipe | dal tove recipe | dal recipe – konkani style with detailed photo and video recipe. 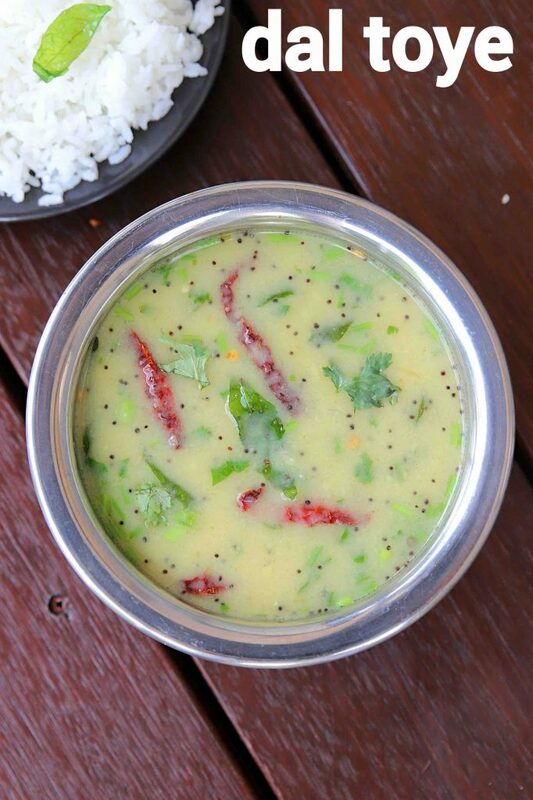 a traditional and authentic gsb konkani style dal recipe made with toor dal. it is a special recipe to the gowda saraswat brahmin community in the konkan region of south and north canara. it is simple and easy to make as it does not have many ingredients to be added yet solves the purpose and makes an ideal side dish. 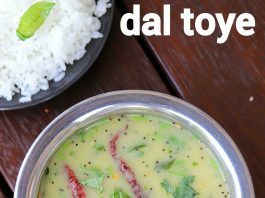 dali toyi recipe | dal tove recipe | dal recipe – konkani style with step by step photo and video recipe. dal recipes are common across india and there are many types of it. the variations mainly depend upon the community it is practised or the demographics of the region where it is made. 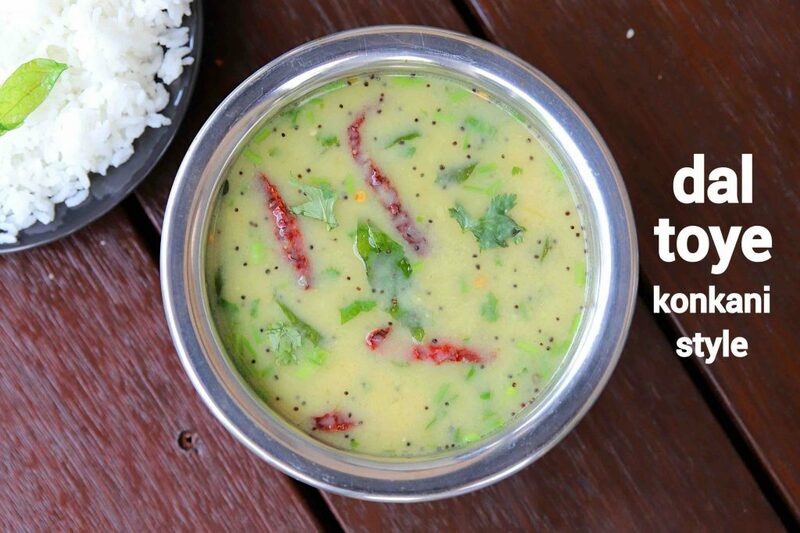 dali toyi or dal tove is one such dal variation made with just toor dal from the south canara or konkan region. well, i guess there must be many who must be wondering how different or special is this dali toye recipe compared to the dal fry or dal tadka. if you have noticed the recipe is made with toor dal or pigeon pea lentil which is used in dal tadka or dal fry. but the seasoning makes this recipe unique. in the traditional dal tadka or dal fry recipe, the seasoning of finely chopped onions and tomatoes is a huge difference. whereas in dal tove recipe the seasoning is limited to green chillies, mustard and ginger. having said that an extra seasoning of turmeric can be added to make it more attractive. yet with the limited seasoning, it ensures to deliver the same taste and flavour. 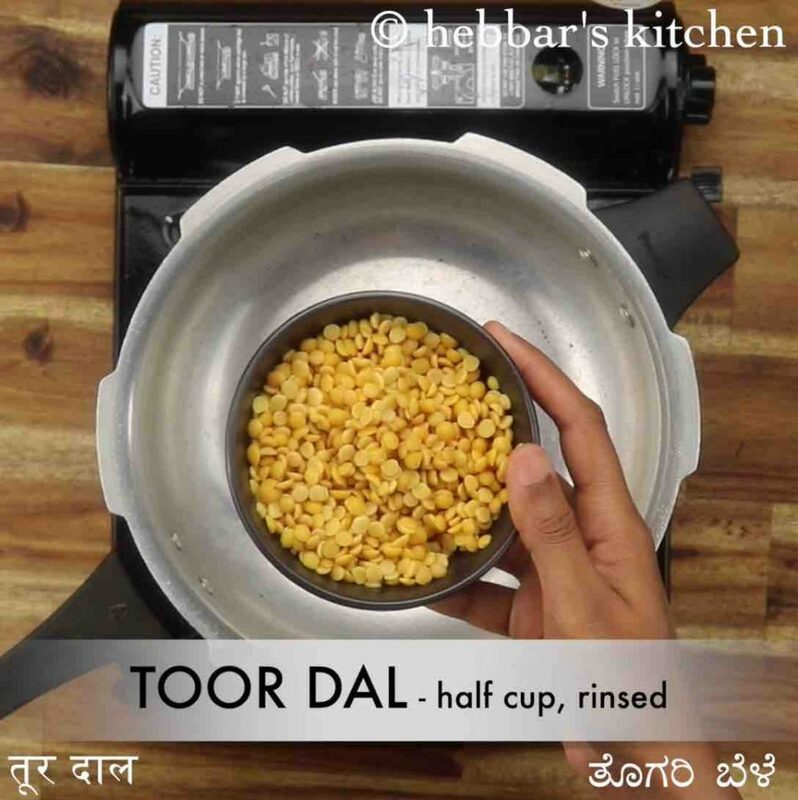 furthermore, some easy and important tips, suggestions and variations to this dali toyi recipe or dal tove recipe. firstly, the consistency of the dal is very critical here. it has to be neither thick or thin and has to be semi-solid. moreover, once it cools down it may thicken and you may have to add water to maintain the consistency. secondly, the combination of dal to and jeera rice is too perfect and does not need any other side dish. but it will taste even better with a scoop of ghee and mango pickle. 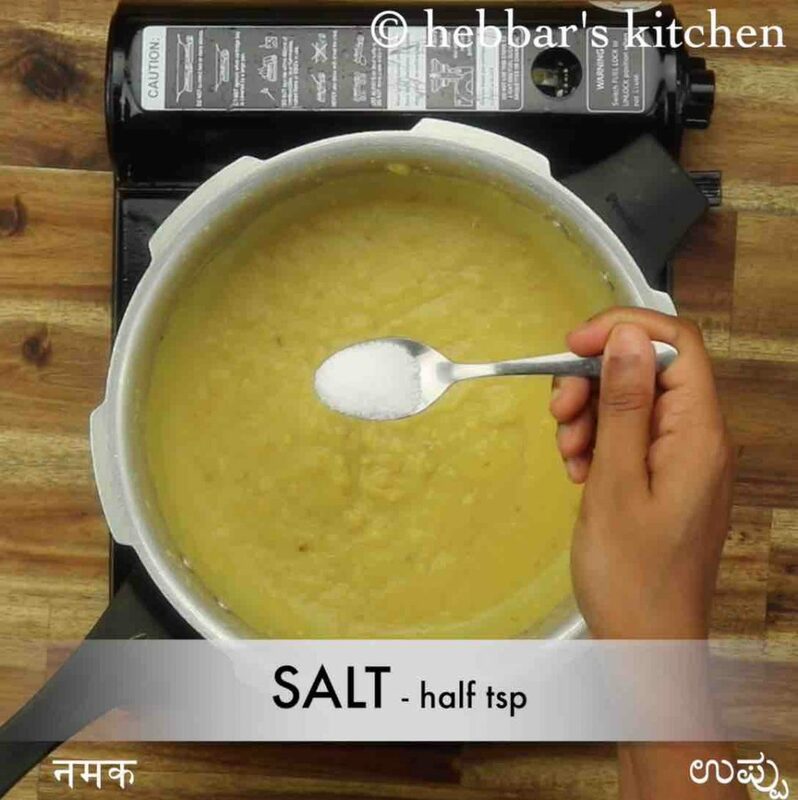 lastly, you can pinch of hing or asafoetida while pressure cooking the toor dal to avoid indigestion. firstly, in a pressure cooker take ½ cup toor dal, 2 chilli and 1 tsp oil. 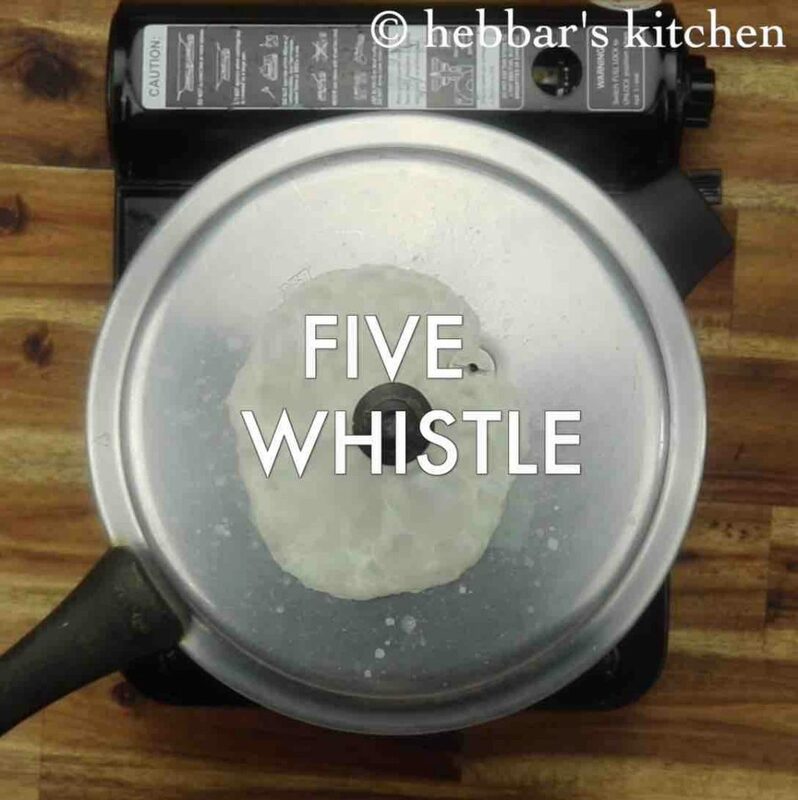 pressure cook for 5 whistles adding 1½ cup water. 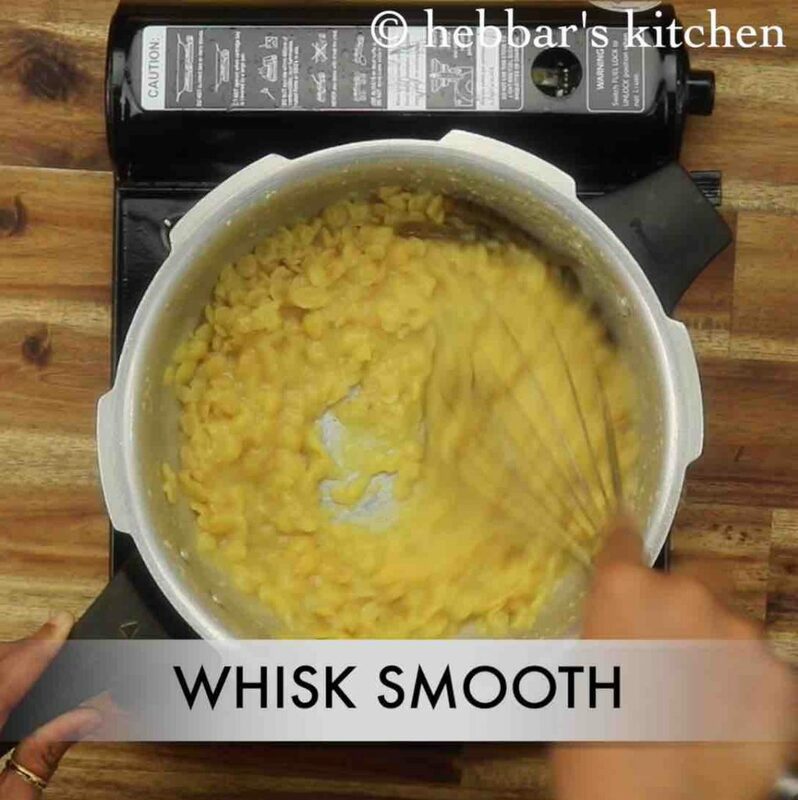 now whisk the dal to smooth texture. further add ½ tsp salt, ¼ tsp hing and ½ cup water. mix well and get to a boil attaining a soupy consistency. further in a small kadai heat 3 tsp coconut oil and splutter 1 tsp mustard, few curry leaves, 2 dried red chilli. 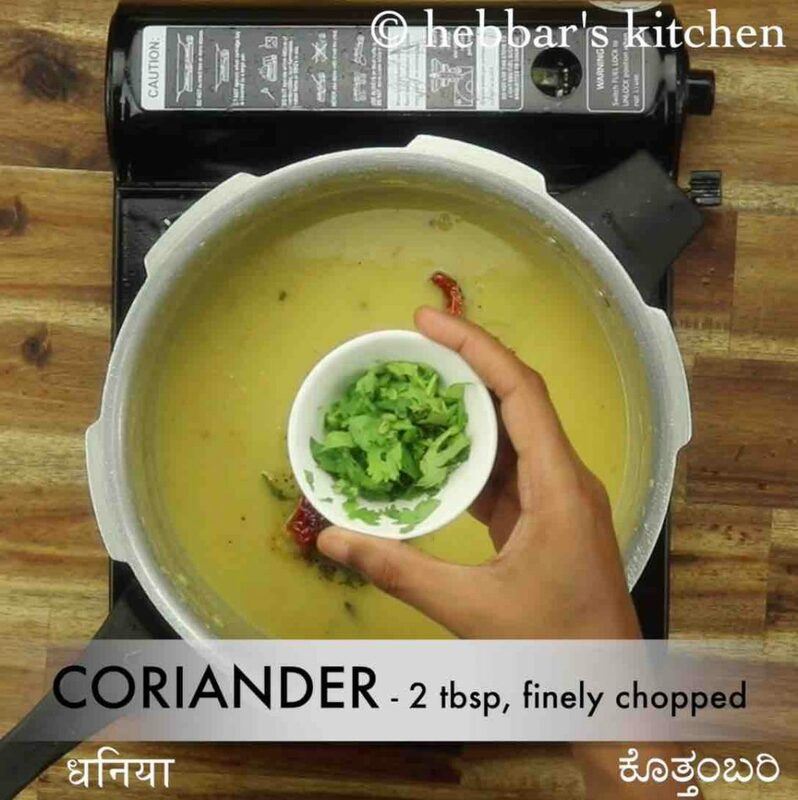 pour the tempering over dal and also add 2 tbsp coriander. mix well. finally, enjoy dal toye with hot steamed rice. finally, enjoy dal toyi with hot steamed rice. 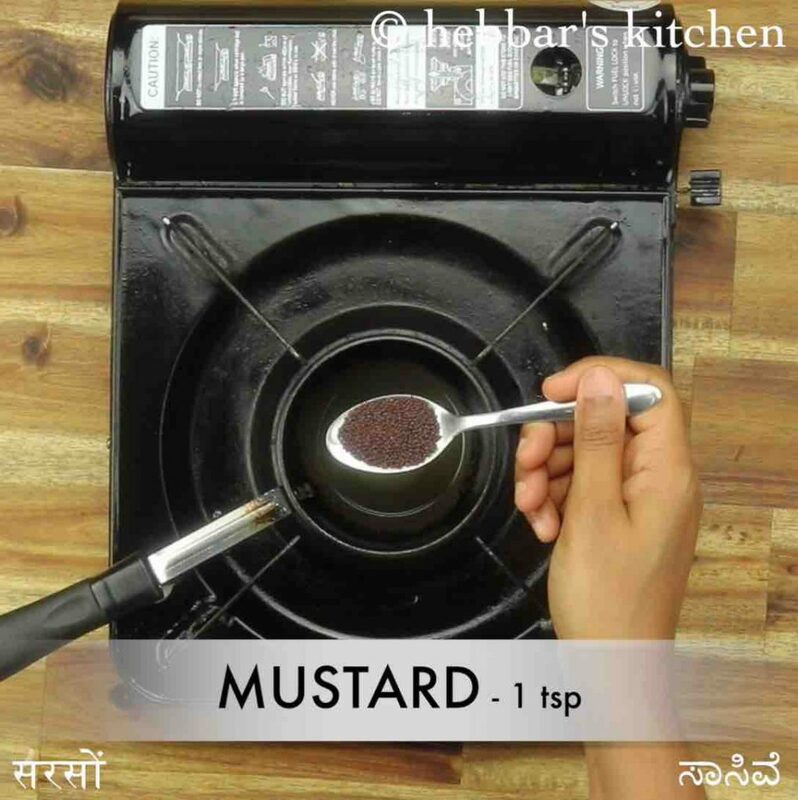 firstly, adjust the consistency of dal by adding water as required. 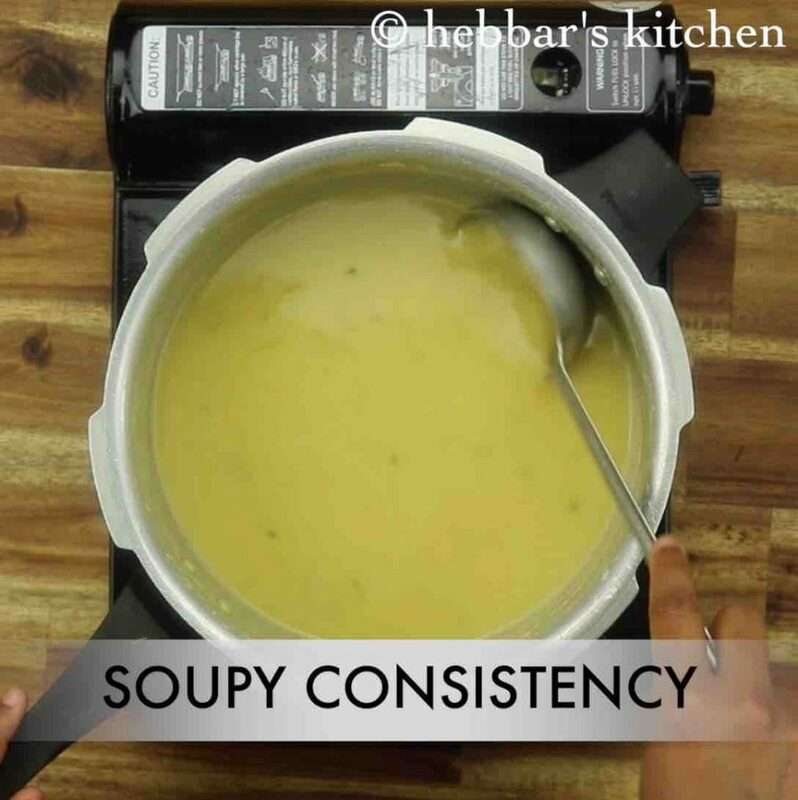 traditionally, it is prepared in a smooth soupy consistency. also, you can blend the dal in a blender to get a more creamy texture. additionally, turmeric is not added in this recipe. however, you can add if you are looking for a bright colour. finally, dal toyi recipe thickens once cooled, so adjust the consistency as required.